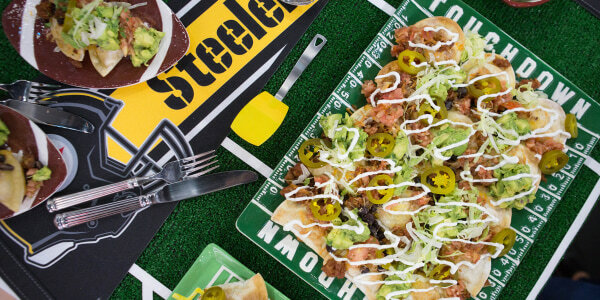 Siri and Carson Daly gear up for game with Cuban sandwiches stuffed with slow-cooker pork and grilled beer can chicken topped nachos. We're hungry for delicious game-day dishes and more Sunday Night Football! On this installment of our TODAY Food Loves Football series, Siri and Carson Daly prepare recipes inspired by the Oakland Raiders and Miami Dolphins. 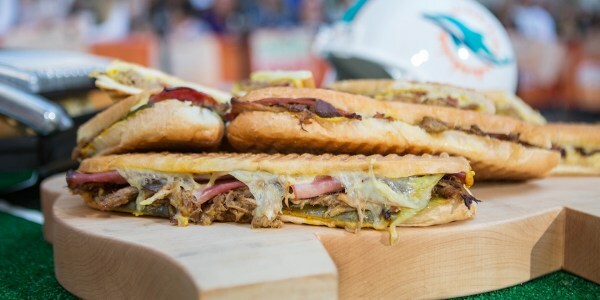 For the Dolphins, they're preparing a crispy, cheesy, pork-filled Cuban sandwich. The pork is simmered in a slow cooker, so it's super-easy to make. 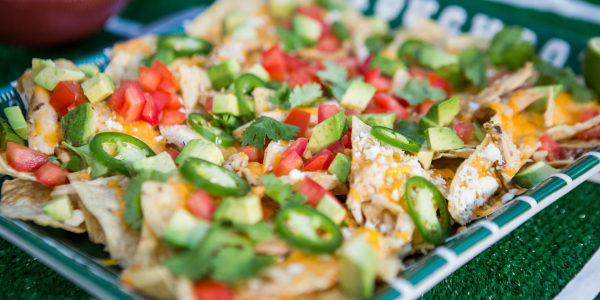 For the Raiders they're making cheesy nachos topped with tender grilled beer can chicken — because beer can chicken tastes good on everything! In the summer and fall, Carson seems to make a beer can chicken once every few weeks. 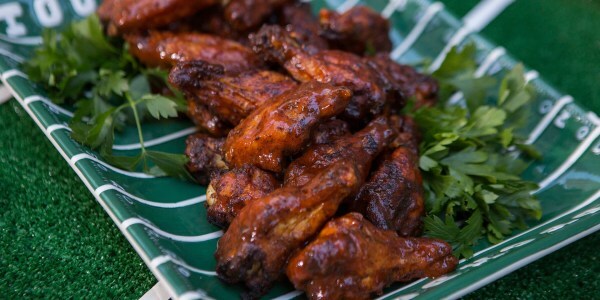 They are juicy, smoky and beyond flavorful. We use the tender meat in just about everything (salads, quesadillas, pastas, etc.). While the chicken is delicious on its own, our favorite way to enjoy it is on a plate of loaded nachos during football season. As we like to say, even if our team loses, we always win the tailgate. There is nothing tastier than a crispy, flavorful and savory sandwich, especially on game day! Roasting the pork is the only time-consuming part of this recipe, but your entire house will smell delightful and you'll have leftovers for days.